In this article we will see how to navigate between tabs in action bar by simply swiping the tab content horizontally. 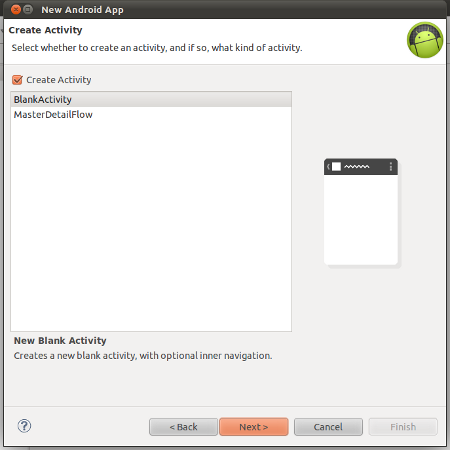 For this we will make use the concepts used in the articles “Adding Navigation tabs containing listview to Action Bar in Pre Honeycomb versions using Sherlock library” and “Implementing Horizontal View Swiping Using ViewPager and FragmentPagerAdapter in Android” . 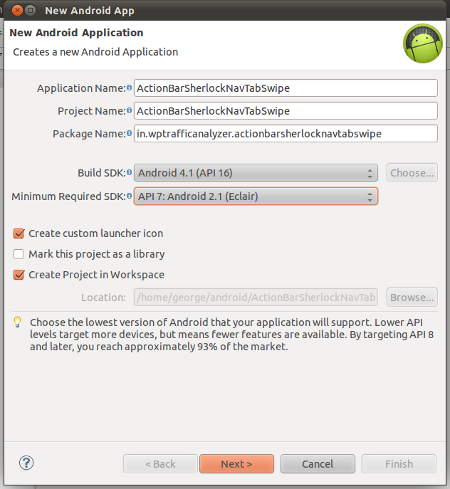 This application is developed in Eclipse ( 3.7.2 ) with ADT plugin (20.0.2 ) and Android SDK library ( R20.0.1 ) . 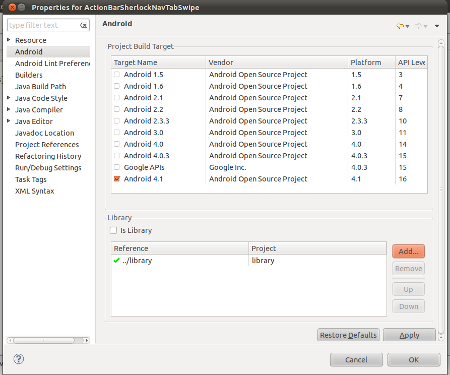 By default, Eclipse adds Android’s Support library to the project. We don’t want to use this library for this project. 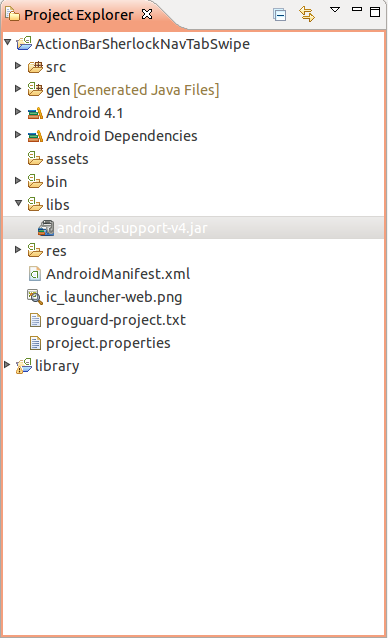 This library will be available in the folder “libs” in the name “android-support-v4.jar“. Delete this jar file from the “libs” folder. 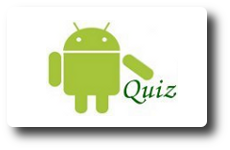 Hi, if I am using this implementation in one of my android apps, all I need is to include a copy of the Apache License 2.0 in the project right? This is the best tabs tutorial I found! Thanks! How do I set up a different content view depending on the selected tab? I want the fragment to load up an XML layout instead. Suppose that eg AndroidFragment has a method, say addVersion(). Suppose that I want to call that method from the MainActivity. 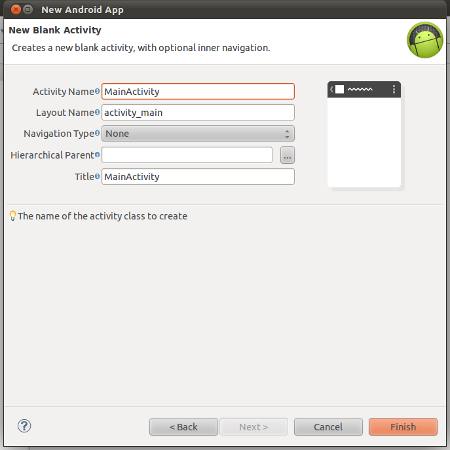 How does the MainActivity get a handle to the AndroidFagment? I wanted to add 6 tabs but in pair of 3-3 and swipeable. Can you please tell me how can I achieve that ?? Nice ! How could I inflate a new layout inside? Sorry for this post… i was making a silly mistake. I have the smae problem..
thanks alot for your supporting post. can you give a example not using sherlock library, i’m very need. Great tutorial. But how can I replace the fragment inside a tab to another. Let’s say, I have tab1, tab2, tab3 with their respective fragments. Then, inside tab1, there is a button that says go to detail fragment. If a user clicks that button, the fragment inside tab 1 will change into detail fragment without affecting tab2 & tab3′s content. Congrats this is one of the best(perhaps the only one most accurate) samples on the Web. THANK YA VERY MUCH 4 SHARING! !